EDGEFIELD, SC – Chelsie Todd of Kirksville, Mo., is the recipient of the National Wild Turkey Federation’s (NWTF) $10,000 National Scholarship sponsored by Mossy Oak. 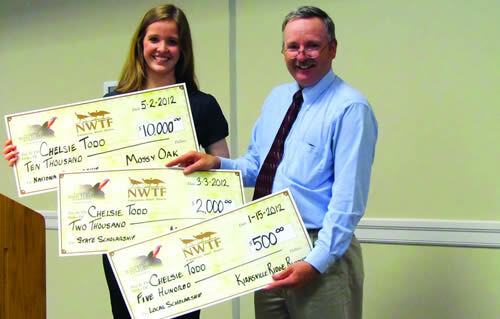 NWTF scholarships are set up to benefit youth with a commitment to conservation and preserving the hunting tradition, and recipients may pursue any type of degree they wish. Todd and her family also will receive a trip to the 2013 NWTF National Convention and Sport Show, February 14-17 in Nashville, Tenn., where she will be recognized for her achievements. For more information on the NWTF scholarship program, call (800) THE-NWTF, email scholarshipinfo@nwtf.net or visit www.nwtf.org/education. 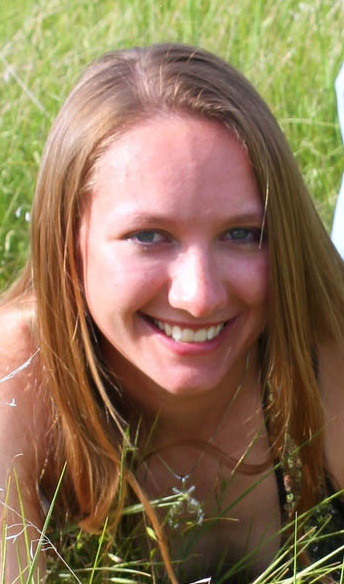 The National Wild Turkey Federation announces Melissa Jech of Rushville, Nebraska, as the recipient of the 2015 National Scholarship sponsored by Mossy Oak. The $10,000 scholarship will help Jech further her education as she plans to enroll at Chadron State in the fall. If you'd like to sponsor a Mossy Oak TV show, please provide the following information. All fields are required.